Last month, Mr. E and I went to Austin and ate dinner at a place with killer cheeseboards...and grissini (thin breadsticks). 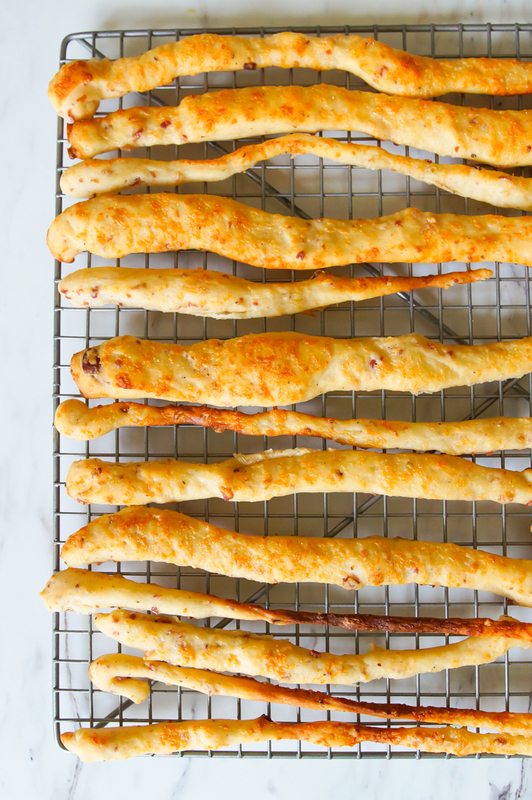 The grissini were light, thin, and crunchy with just the right amount of bacon and parmesan. I've thought a lot about those breadsticks since we've been home and finally decided to try making them at home. There's good news and bad news here. 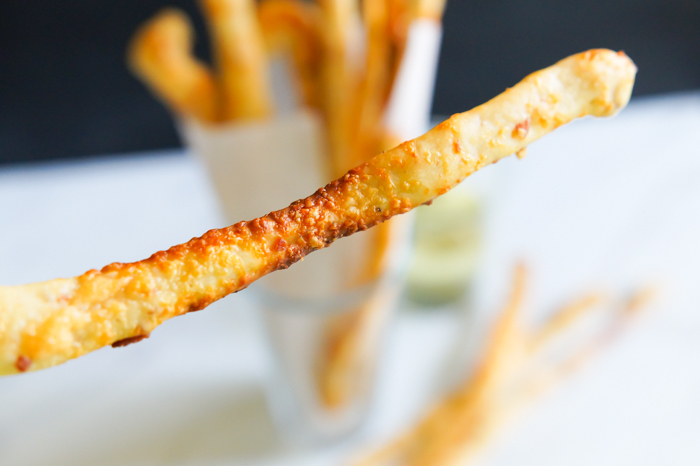 The bad news is that I did not manage to recreate the grissini from the restaurant. The good news is...these are pretty darn good. So good that I ate ten (10!!!) before Mr. E even made it home for dinner. Oops. The ones in the restaurant were uniformly crispy. Mine are, well, rustic, I guess. 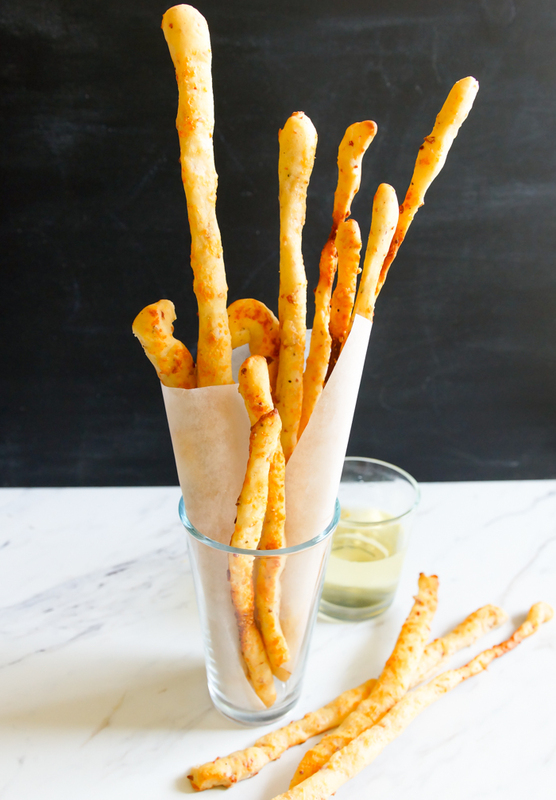 You get a little soft breadstick and a little crunch in every one. Best of both worlds? 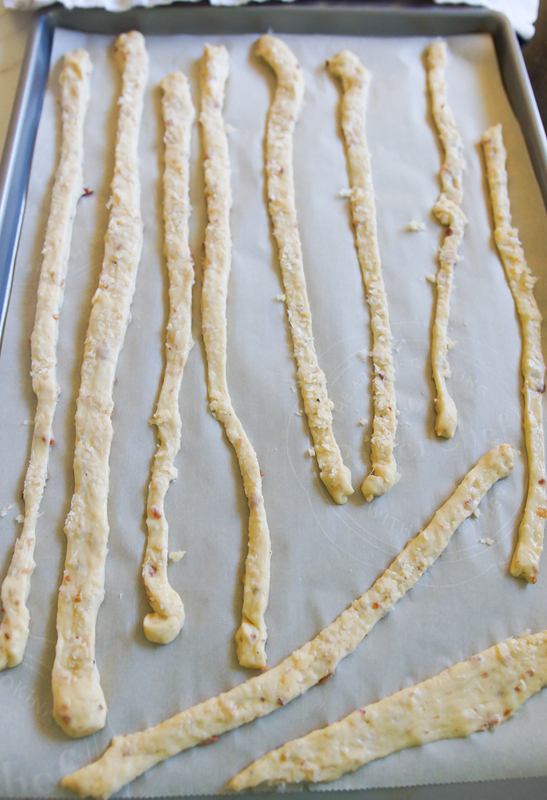 The unevenness comes from transferring the cut breadsticks from the cutting board to the cookie sheet. They stretch quite a bit in those couple of seconds. 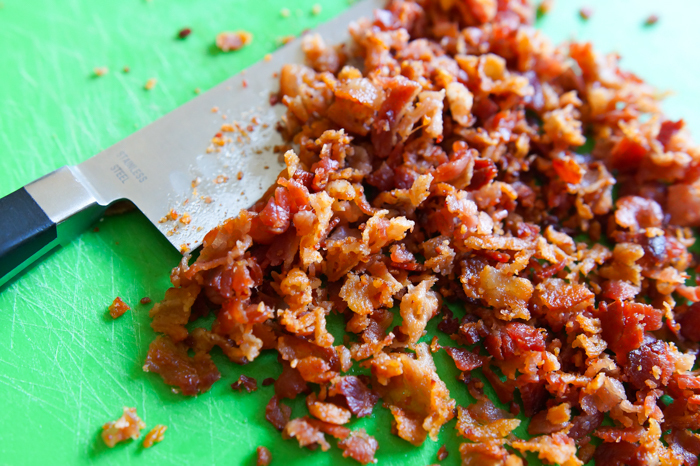 Start with crispy bacon. No soft bacon here. You'll stir together the dry ingredients, then add the bacon, olive oil, and water. After kneading, the dough is soft and sticky. It'll rise for about 75 minutes until doubled. 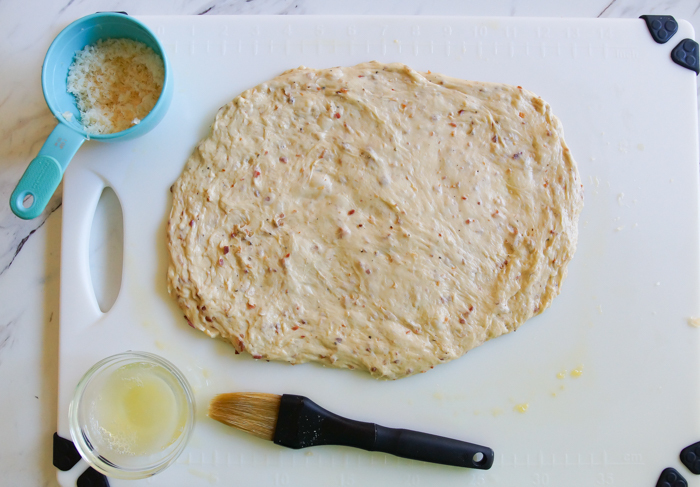 Once the dough had risen, it gets covered in parmesan, cut, and placed on cookie sheets for a short rest. 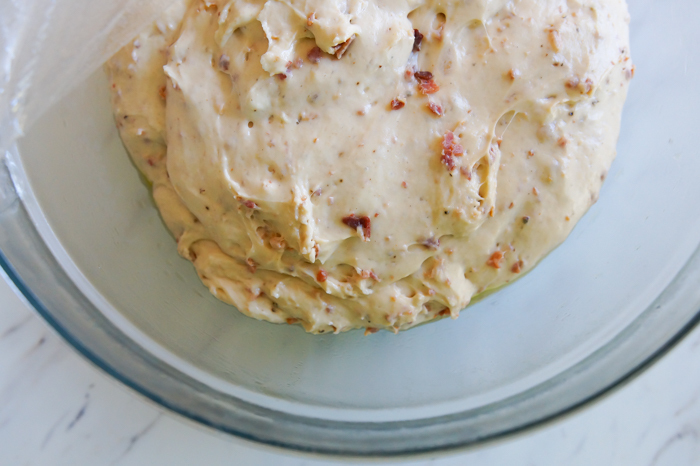 When transferring the dough does stretch which can lead to unevenness. Don't be afraid to stretch them a bit, though. The crispy parts were our favorites. Next time, I'm just going to try to do it a little more evenly. 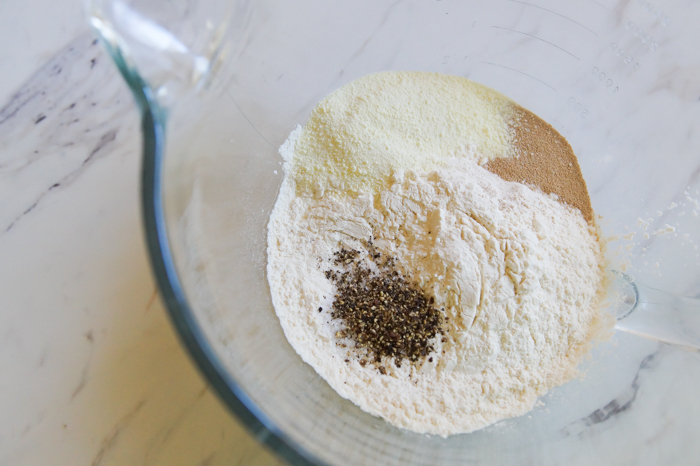 Stir the flour, yeast, salt, pepper, and nonfat dry milk together. Add the bacon, olive oil, and water. Stir until combined. Knead using the dough hook of an electric mixer for 5 minutes, or until the dough is soft and sticky. Transfer dough to an oiled bowl and cover with a piece of oiled plastic wrap. 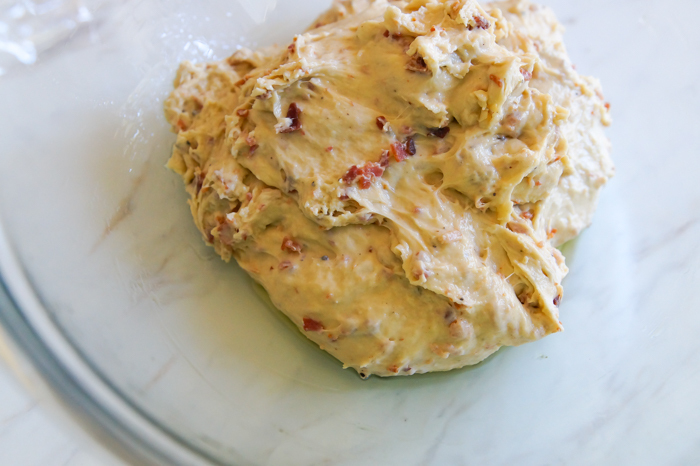 Let the dough rise until doubled in bulk, about 75 minutes. Preheat oven to 425. 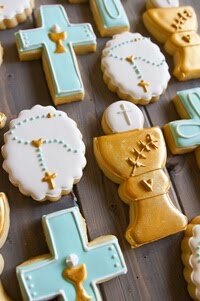 Line three cookie sheets with parchment. 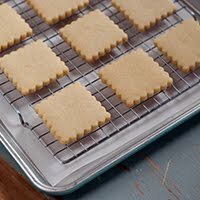 Divide the dough in half, working one half at a time, press each half into a 10 x 12" (approximately) rectangle on an oiled surface. Let the dough rest for 5 minutes. Press it out again once it has rested. Brush the dough with the egg white, then press half of the parmesan onto each half. 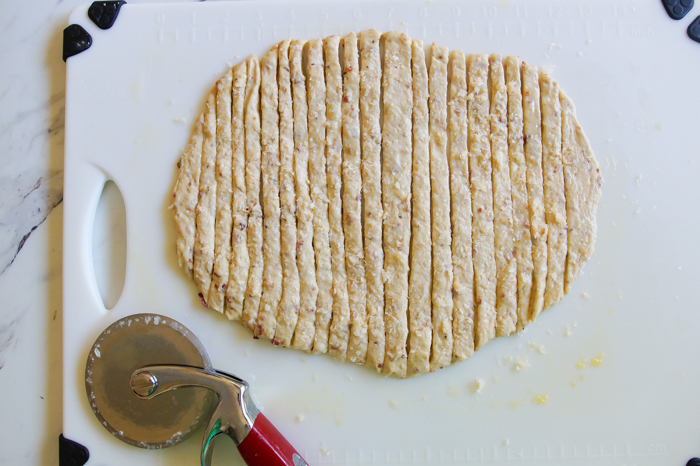 Use a pizza cutter to slice into 1/4 to 1/2" strips (on the shorter side of the rectangle). Transfer the strips to the prepared cookie sheets and cover for 30 minutes. Bake for 12 minutes, rotating the pans halfway through if baking two at once. 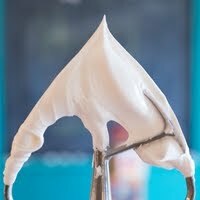 If needed, add a minute or two more of bake time to achieve the desired crispiness. Transfer to wire baking racks and cool. Serve the same day. 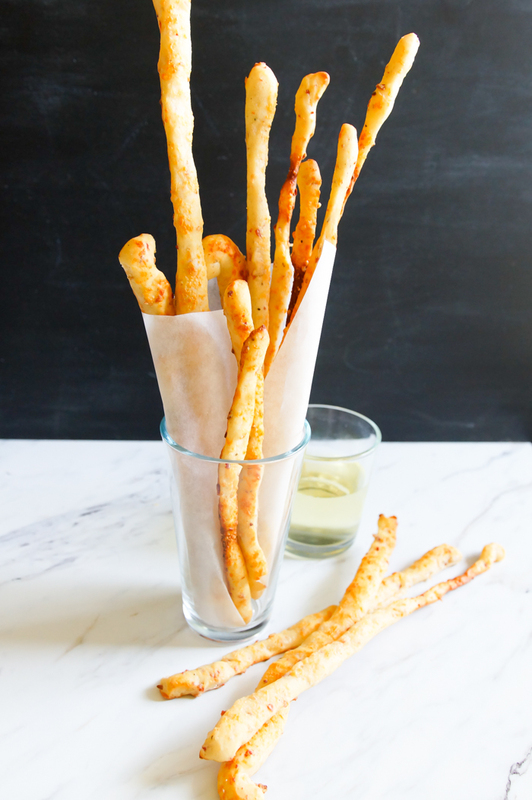 The grissini may be stored, loosely covered at room temperature, but will lose some of its crispness. 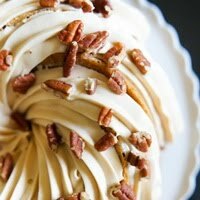 I served these with dinner, but they'd really be delicious on their own with a glass of wine or a beer. Cheers! 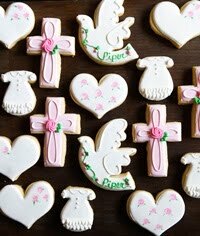 If you're planning your Eater menu, these would be so pretty on the table! 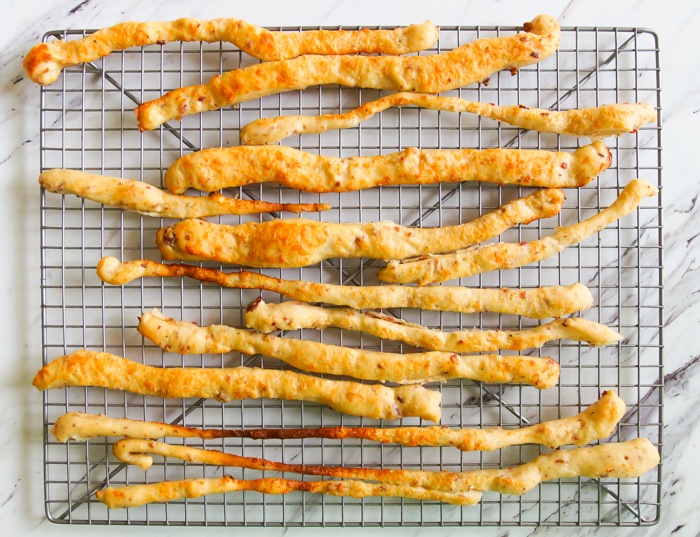 I've made countless grissini but I've never added bacon to them. Now, I have to say, we love bacon. I don't think you can add bacon to anything and have it be bad. 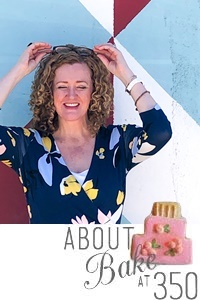 I'll have to add them to my recipe and see how my readers like them.